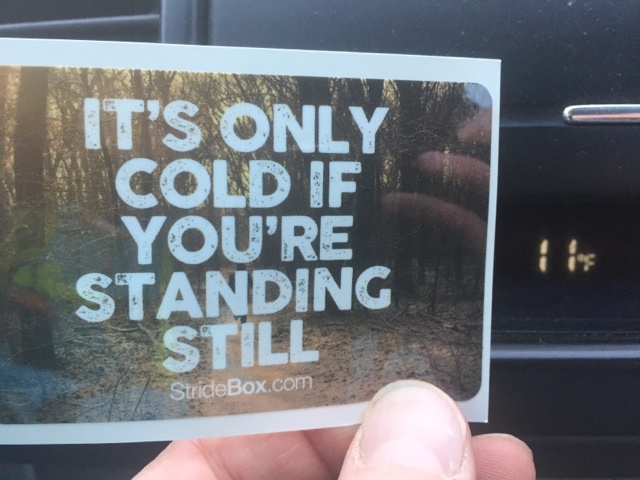 This sticker from my latest StrideBox pretty much sums up my week in running. Sunday: 1 hour or yoga and 20 minute strength workout. I can't remember why I didn't run, but I didn't. 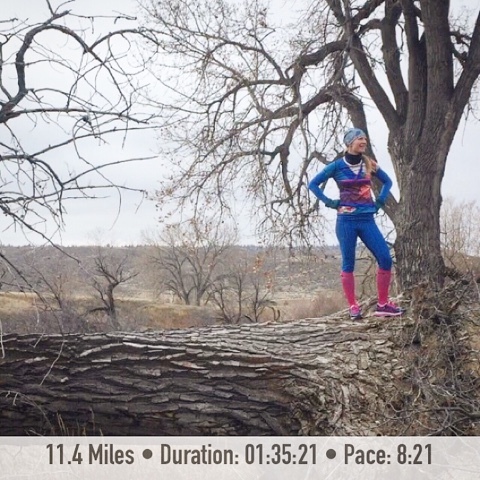 Monday I went for a long run and while I only planned to run 9 or 10 I ended up with 11.4. Although I ran 9.4 and then stopped at my grandma's for coffee and fruitcake and then ran two more miles to get back to my car so there was a good 45 minute break in there. Wednesday: 45 minutes of yoga in the morning. Still cold cold cold, I think it was colder than Monday, but the sun was a least out and it was less windy so it felt warmer. Other random happenings of the week: Roader ate Cade's homework. Small Cowgirl had a sleepover Friday night and I brought home all the wrong movies. I guess I will have to work on my movie picking skills! They were too boyish and too babyish. Kung Fu Panda 3, Finding Dory, and Ice Age Collision Course. I like them all anyway. I have done more on line shopping this year than any other year. I just don't feel like dealing with the crowds and traffic. My back is feeling a bit grumpy again. UGH so I didn't run yesterday and will take it easy for the next couple days and hopefully that will help. Oh gosh...I can totally relate to the importance of sunshine! 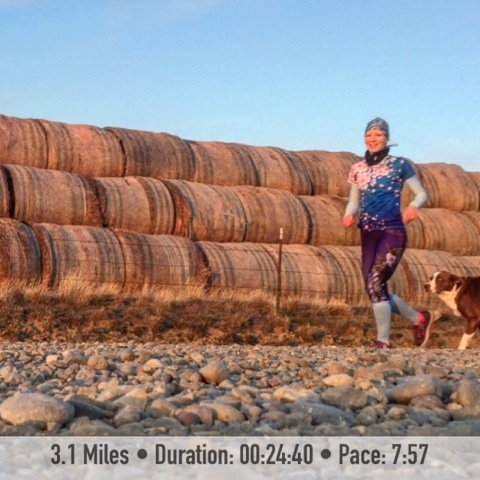 It makes such a difference on those winter runs! Of course, the wind is usually the game changer (though, it doesn't usually keep me inside). I sure get the need to get outside. Even tho I'm sidelined from running until my foot calms down, I did go XC skiing yesterday in the snow. It was heavenly. I felt so much better too. I love that Roader ate the homework. Well, not love, but you know what I mean... :p I live with a bad puppy too. She's eating everything! The dog actually ate the homework lol hopefully his teacher will have compassion. The sun makes such a difference!! 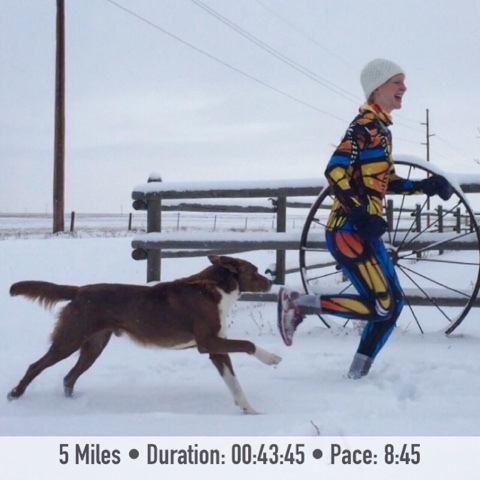 I LOVE the picture of you running in the snow! You look so excited!! This literally made me smile Christy! I love that you stopped and visited your grandma while on a run. I miss my grandma and wish she was still around to share my running accomplishments with. She would be shocked to learn I actually ran a marathon. Treasure that time with your Grandma! HA! The dog did eat the homework. He looks a little bit guilty. I love all your pictures. So nice you can stop and visit with your grandmother. I'm good with your movie selection. Oh and sometimes I can't remember why I didn't run either, glad I'm not alone in that phenomena. How cute the dog ate the homework, ok not so cute trying to tell the teacher! But really so cute. Love the pictures. Cola always looks happy to be out with you! I like to think my dog is happy too. Sometimes you can really see them smile! Thanks Christy for linking each week with us! How nice to be able to stop and visit your Grandma! I wouldn't know what little girls like, but those movies sound perfect to me. 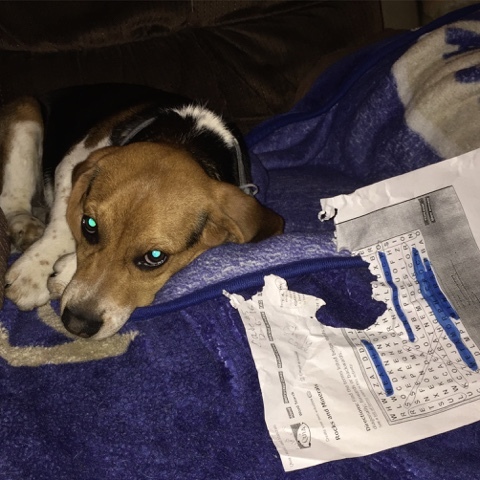 Did the teacher actually believe the old "dog ate my homework" excuse? That's so funny. I have yet to go into a store and purchase anything this holiday season. I hope I can continue that! 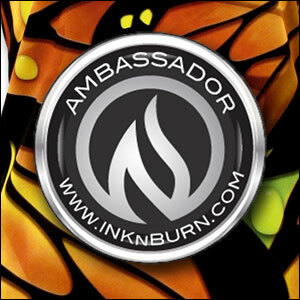 Thanks for linking, Christy! Wait, crowds where you live?! Stopping at grandma's for coffee and fruitcake after 9 miles of running and running with your dog - the best!